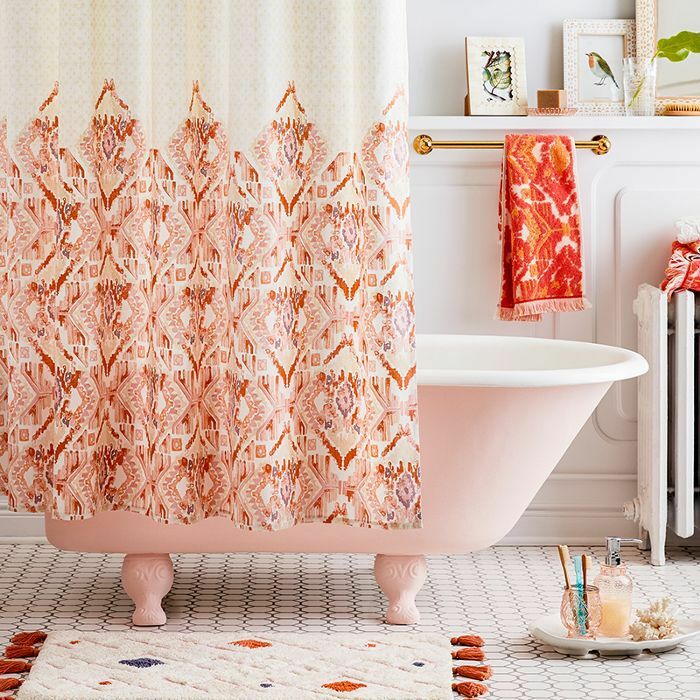 Following the successes of Target home brands like Threshold, Project 62, and Hearth & Hand With Magnolia, the design-forward store just announced a new home collection called Opalhouse. The spring line is described as colorful and eclectic, boasting loud prints and plenty of texture, according to a statement released by Target. Over 1300 budget-friendly home décor pieces (most of which are no more than $30) will hit stores and be available online starting April 8, 2018. The line is inspired by cities like Aix-en-Provence, Lisbon, Paris, and Mallorca, where Target's design team traveled to find unique inspiration. With personalization in mind, the brand is meant for mixing and matching and features more original artwork than any other brand introduced by Target. It isn't shoppable yet, but you can take a first look at the eclectic collection below. This colorful bedroom is full of detailed design elements, each with their own texture and pattern. The bedding and the rug are perfect for mixing and matching. This unique, patterned wallpaper was inspired directly by nature in Lisbon and Paris. It would introduce a fun pop of color and design into any space. When it comes to boho throw pillows and blankets, it seems like Opalhouse has you covered. These colorful, textured accessories are bursting with color and are just the thing to spruce up bedding or the living room couch. This pineapple lamp is the perfect balance between chic and quirky. It's a great way to show some persinality without distracting from the rest of your décor. Keep an eye out for the collection drop this spring to add unique pieces like this into your home.